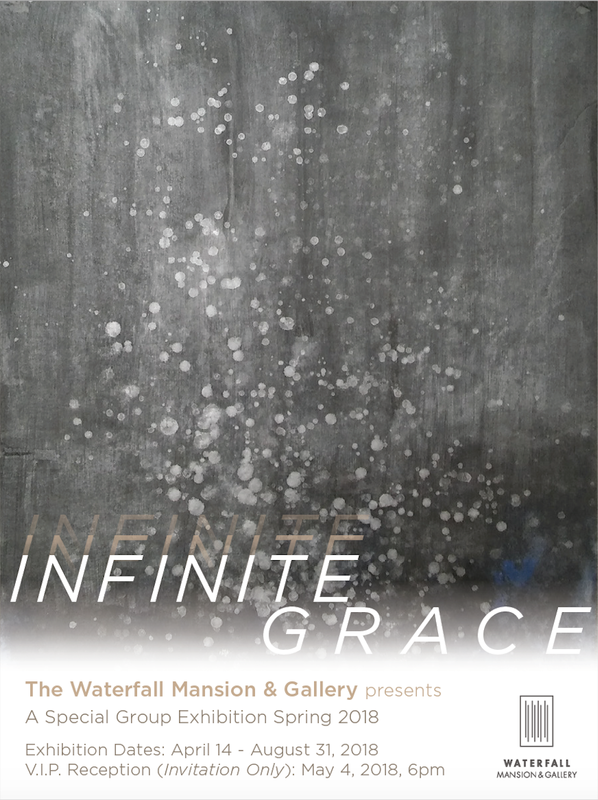 Waterfall Mansion & Gallery is honored to announce our newest group exhibition, “Infinite Grace,” an exhibition exploring themes of foreignness, belonging, and community. 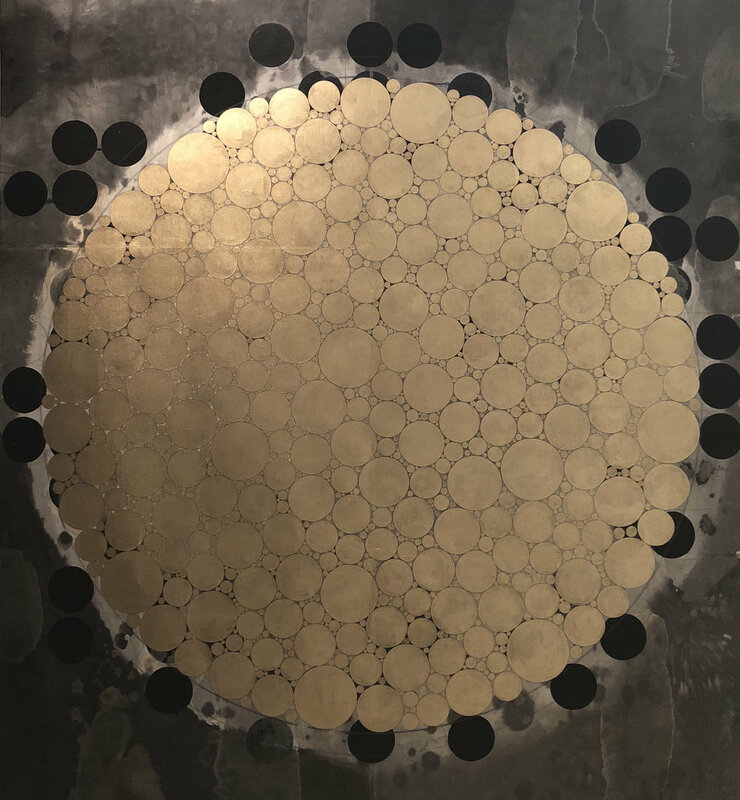 This selection of international contemporary artists is timed to coincide with the opening of Babette’s Feast at the Theatre at St. Clement’s in New York City. 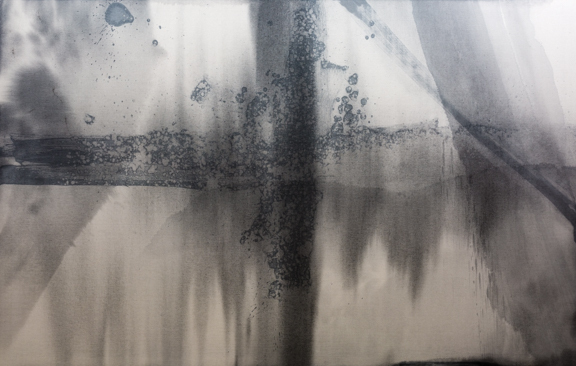 Waterfall artist Makoto Fujimura was part of the initial production of Isak Dinesen’s iconic story and will serve as a co-curator of our exhibition, “Infinite Grace.” “Infinite Grace” presents a creative journey inspired by the story of Babette, a refugee whose selfless giving and joy shows a community to embrace true abundance. 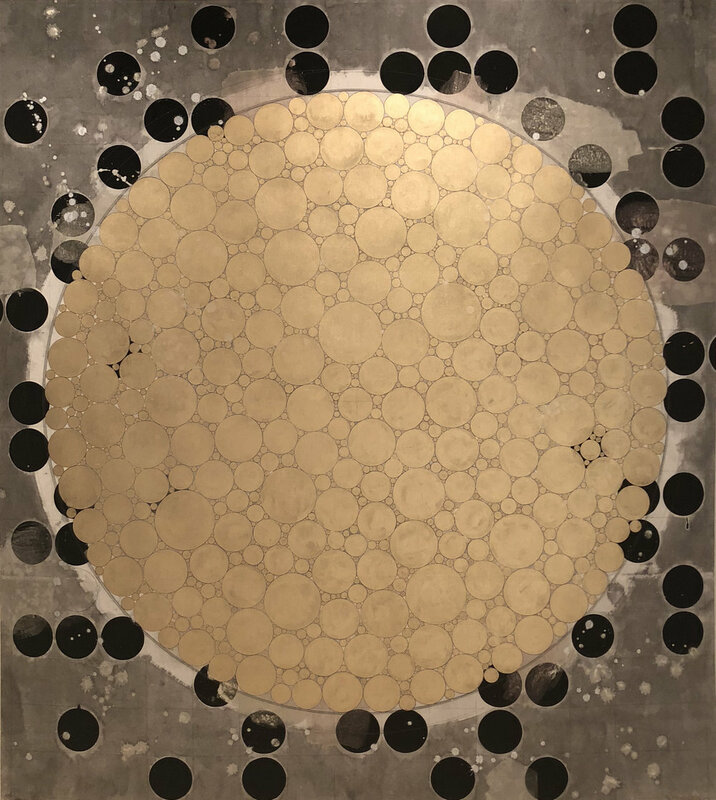 The artists and works featured in the exhibition embody Babette’s famous line “a great artist is never poor” by sharing their own journeys from hardship and estrangement into fulfillment and hope. 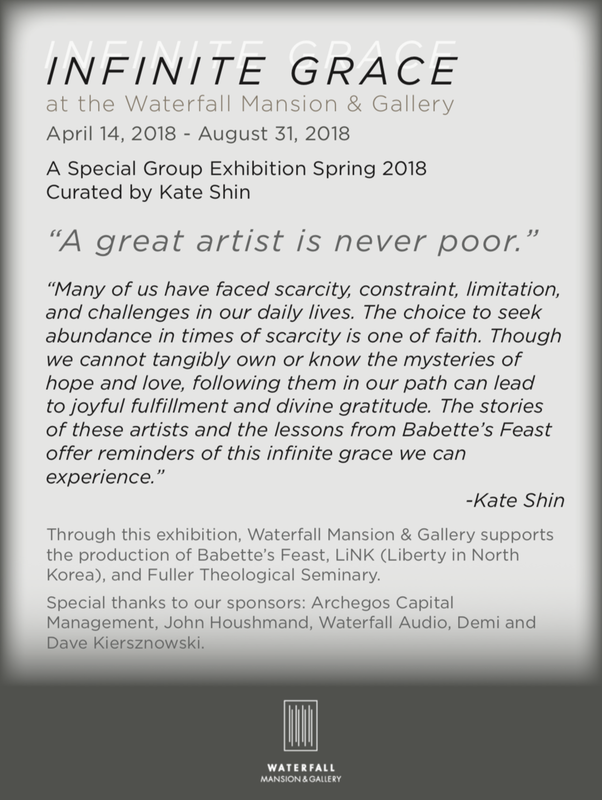 This diverse group of featured artists has been hand-selected by Kate Shin to bring their perspectives and stories as outsiders into New York City, to envision the synergistic narrative of “infinite grace”.